Many real estate businesses face the challenge of getting in touch with past clients and reaching out to new prospects at the same time. This is due to the high financial cost and increased workload to maintain a good reputation in the market. 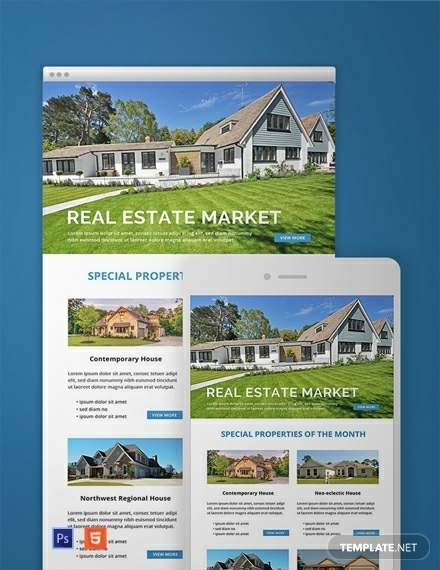 However, real estate newsletters can make it easier for you to pursue effective and extensive marketing. In fact, this means of communication makes it easy for you to reach out to your audience and boost the performance of your business. So, how do you write a real estate newsletter that your prospects can’t help but read? It doesn’t make sense to write and send out a newsletter without knowing what you really want to achieve. What are your goals? What do you want your audience to know? Start by analyzing your target market. Learn about their needs, purchasing power, a preferred mode of communication, and their preferences. The primary goal of learning about your audience is to make it easier for you to write and send out newsletters that focus more on addressing their needs. If there is one thing that is for sure, it is that readers don’t appreciate low-quality content that adds no value. Remember, it takes time to read a newsletter. So, the last thing you want to do is to waste your readers’ time. Create a strategic plan that will enable you to create quality content that you can confidently share with your readers. It is important to remember that a unique content strategy requires extensive research. You need to put yourself in the shoes of your audience. Feel free to ask your target audience about the challenges they face when it comes to real estate. Getting into the minds of your reader and tapping into their needs and emotions is a great way to build your brand. It is important to choose the right template. At the end of the day, you want your content to look visually appealing and presentable in the eyes of a reader. Your content should give uniqueness to the advertised products and services. In other words, using a template that stands out can easily grab your readers’ attention and engage them to the content of the newsletter. It is also a good idea to ask for their opinion; so, make sure you include this section at the bottom of the template. Analyze the responses you get from your customers. This will help you to improve how you engage your clients in the future. Depending on the feedback you receive, you may need to change a few things here and there for the good of your real estate advertising effort. 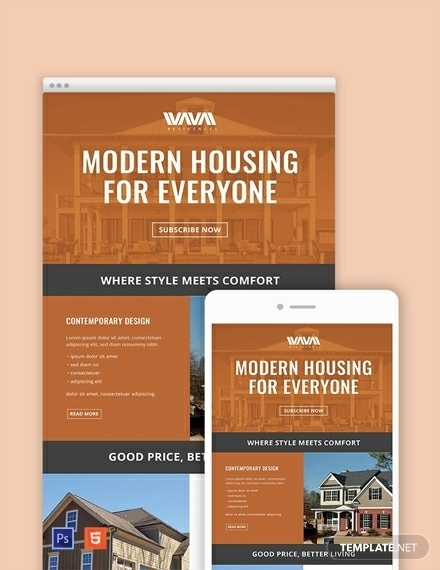 A real estate marketing newsletter is a unique communication medium that lets you reach out to existing clients as well as new customers. 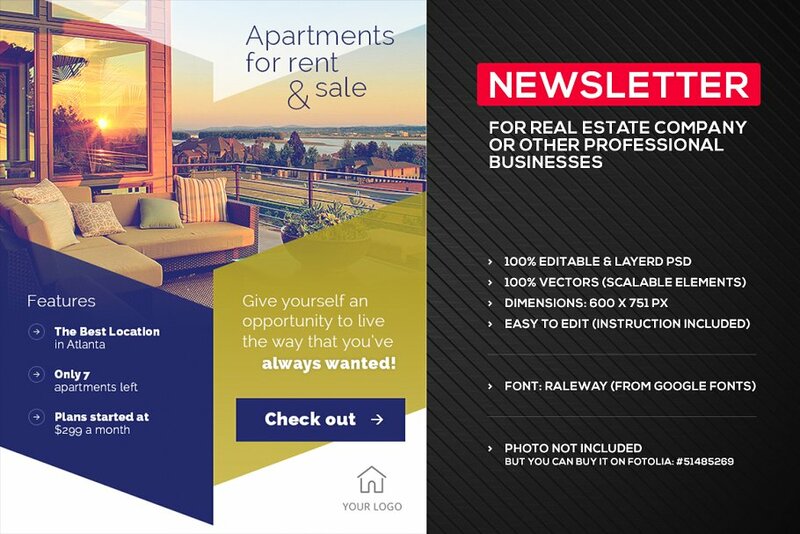 More often than not, this newsletter example will enable you to promote your business and educate your clients on the latest real estate trends. This professionally designed sample is easy to customize. Use this newsletter template to give your clients a broad perspective of what your real estate company is all about as well as what you have to offer. The content of the newsletter should address two things. First, it should address the needs of your audience. Second, it should state what your real estate business is doing to meet those needs. 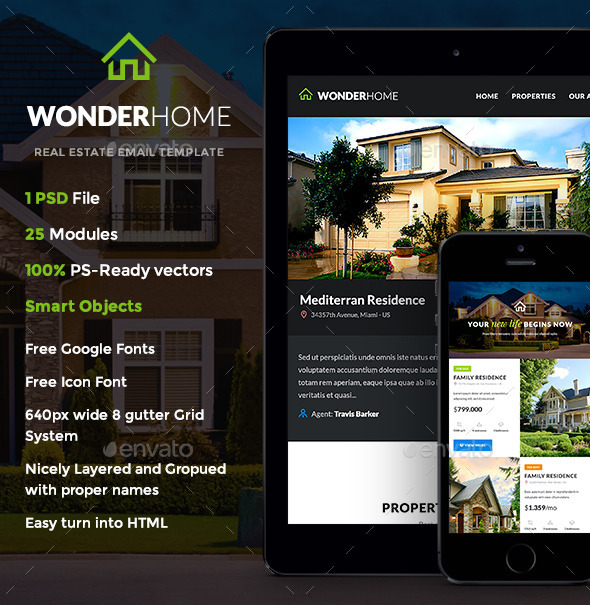 This is a suitable marketing template for real estate agents, small real estate businesses, as well as corporate real estate companies. You can use it to promote a new open house, marketing existing listings, or to inform your audience about new changes in your business operations. You can even enhance the value of your newsletter by running special offers exclusive to your existing customers. It is important to build a strong relationship with your clients. The stronger the relationship between you and your audience is, the more likely you have room for growth. The best way to pursue a healthy business relationship is by keeping in touch with them using a real estate e-newsletter. You can use this sample template to write the newsletter. The structure and content of your newsletter are the two major determinants of your business’ success. Use this professionally designed newsletter to impress your potential customers and increase your sales. With the help of this template, you can gain a new advertising perspective and build your business brand. The design is print-ready, and the template is quite easy to customize. 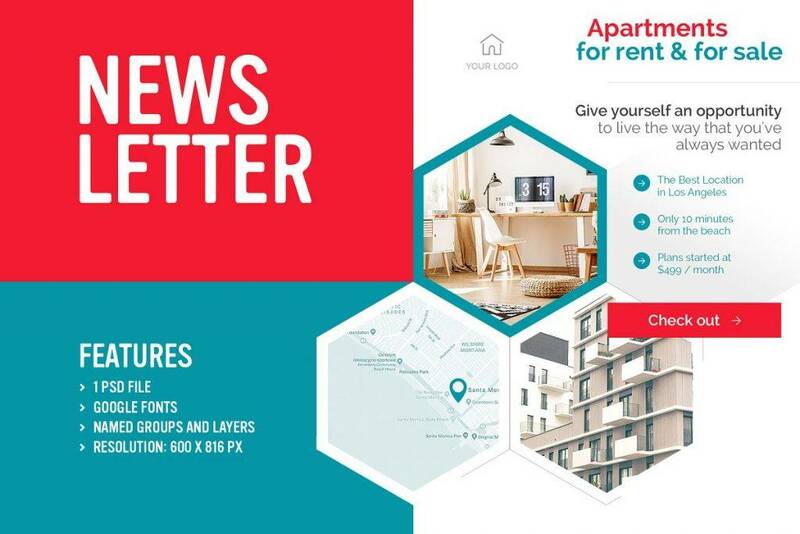 The purpose of this email newsletter template is to enable you to inform your customers about the latest trends and changes in your real estate business. Also, you can use this to alert clients on special offers and even offer possible discounts for new and existing listings. This example is easy to customize. 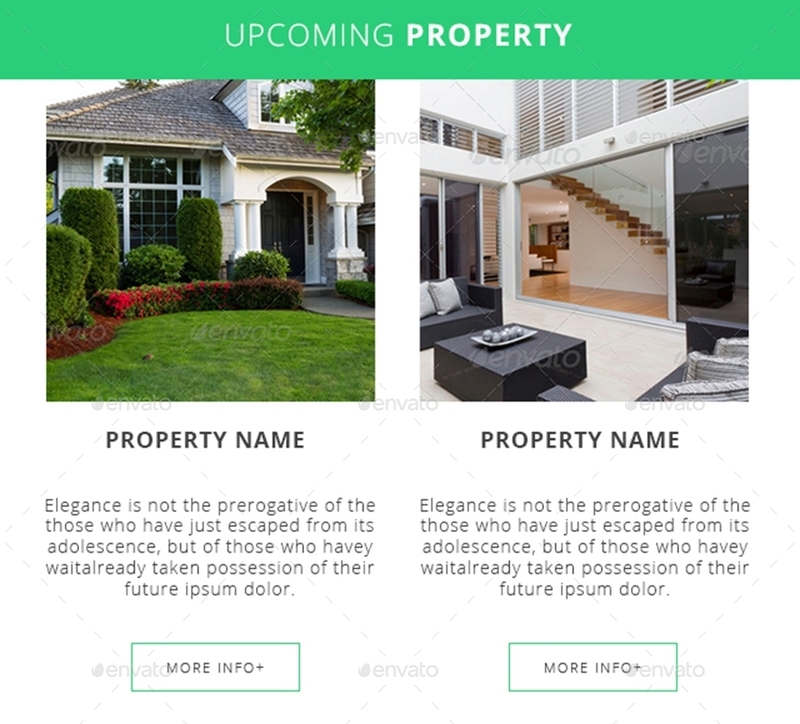 This newsletter template designed to help real estate agent to communicate with and capture the attention of new and existing customers. It is a good option to use to help customers make a concrete decision as far as real estate purchases are concerned. The design is print-ready, but you can still customize it if you want. A great real estate marketing newsletter must be entertaining, informative, and relevant. To truly capture the attention of the reader, you will need to make your newsletter interesting to read and relevant to the target audience. 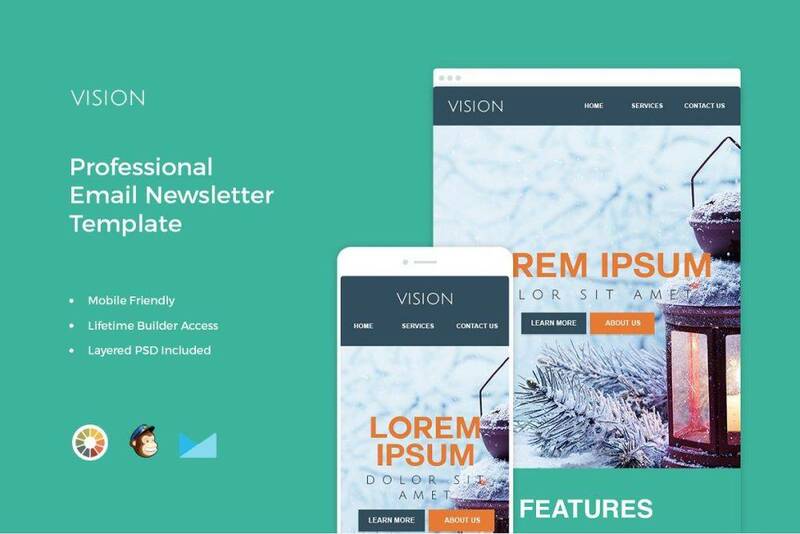 Here is a sample template that you can download and use to send out a professional newsletter to your email list. Download this template and use it to keep in touch with your readers. The template is easy to customize. You can add new listings of your real estate purchases. Then, add description text to make your message precise and easy to understand. Get new contracts, close more deals and get more potential real estate clients. 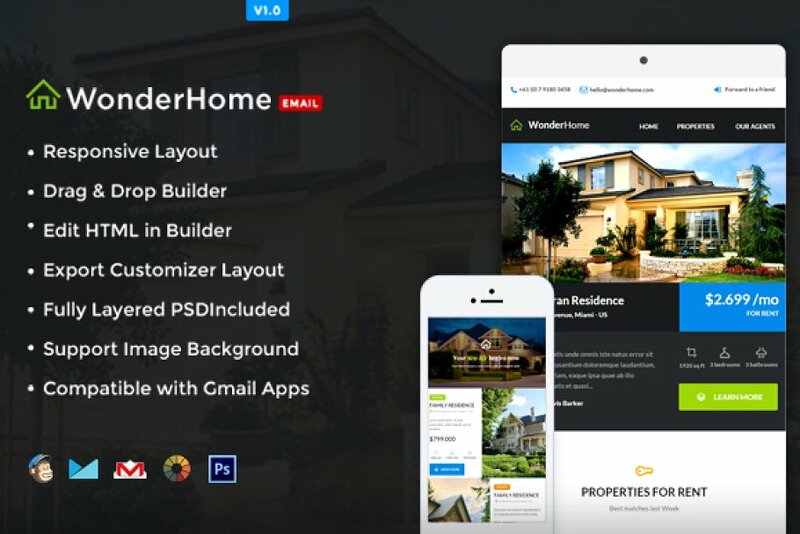 Download this professional email newsletter template and use it to get in touch with your real estate email subscribers. Share important business insights, real estate trends, and related information. The design is so professional that you don’t have to spend time editing the layout of the file. 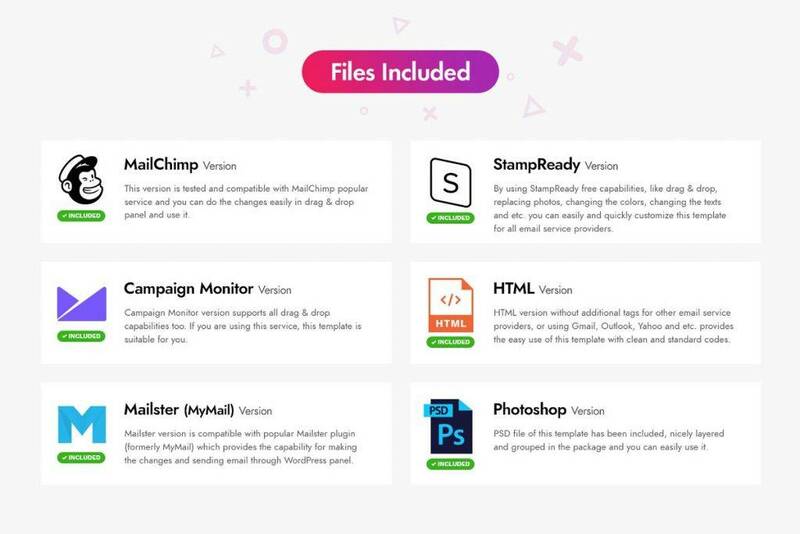 You only need to download and use it as it is.